I used to have a hard time admitting this, but I can now proudly say it: I'm picky. I won't eat a side of vegetables if it has carrots in it, the hotel photos on TripAdvisor have to look pristine before I book a vacation, and don't get me started on dating. Before meeting my boyfriend, I'd always find something wrong with every guy just two minutes into the date. So, it's no shocker that my exacting standards apply to my beauty collection, especially foundation. While I love the idea of a weightless product that's worthy of errands or chill-out days, any base product I wear has to meet the strict criteria of covering up my rosacea, acne, and dark spots. That's why I've always avoided skin tints, BB creams, and tinted moisturizers. I get that light-coverage products are supposed to be, well, light — but if a product is going to leave everything visible, what's the point? My ideal base would land somewhere in between tint and foundation, and I've finally found that in Arrive Beauty's Skin Boost. 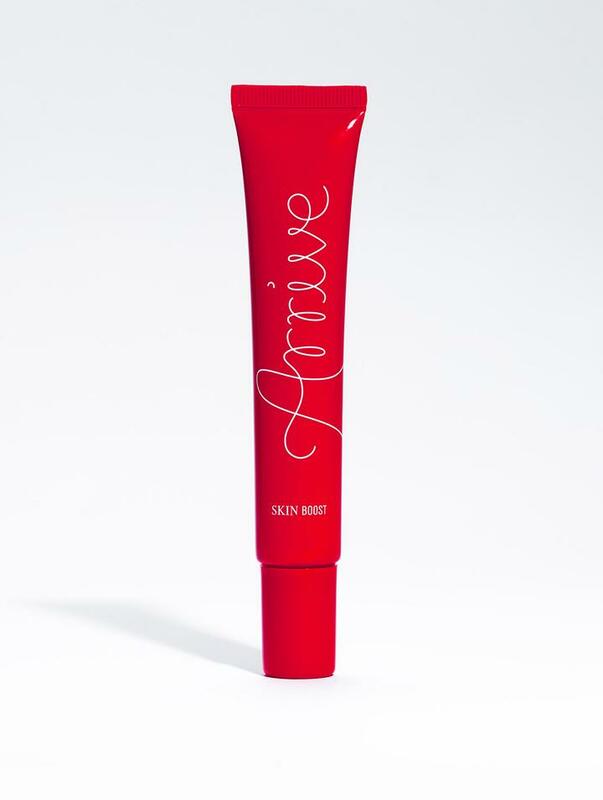 Arrive Beauty Founder and CEO Zoe Brenneke says her line of products is "made for wherever you're at in life." And at this moment in my life, I'm dealing with an acne-rosacea diagnosis. And Brenneke gets it. She's also dealt with rosacea in the past, so she made her Skin Boost hypoallergenic and fragrance free, but still powerful enough to hide discoloration. BB Cream, Foundation, Or Tinted Moisturizer? I applied the liquid formula in the shade Tan (it comes in five shades overall), and I was shocked at the results of just one layer. The redness on my cheeks disappeared, but it felt like I was barely wearing anything. I was also dealing with the aftermath of a popped pimple gone wrong (I know, a crime), and after dabbing a little more of the formula there, it was gone. But just like those dates when I'd look for something wrong, I wasn't sure if this formula would last through the day. Yet when I checked at 6:30 p.m., it had not budged, and my skin never looked cakey or oily. Sure, I have my heavier option for those dressed-up days, but it's safe to say that this tint has become my go-to for everyday wear. Although picky can sometimes be seen as a bad trait, it's made me cautious about the things that enter my life, stomach, and bathroom cabinet. That means the things that do pass the test — like this lightweight skin tint that can hold up through bad breakouts and red cheeks — are well worth it.